NEW YORK, Dec. 4, 2018 /PRNewswire/ -- Medscape, the leading source of clinical news, health information, and point-of-care tools for healthcare professionals, today announced that Ivan Oransky, MD, a recognized leader in medical journalism, has joined the organization as Vice President, Editorial. "Ivan is an established and experienced leader in medical journalism, and we are pleased to welcome him to Medscape," said Jo-Ann Strangis, Senior Vice President, Editorial and Audience Engagement, Medscape. "His commitment to journalistic quality and integrity fits perfectly with Medscape's mission to provide physicians and healthcare professionals with rigorous content that is compelling and relevant to their practice." Dr. Oransky recently held senior editorial positions at MedPage Today and Reuters Health. Additionally, he was in editorial roles at Scientific American, The Scientist and Praxis Post and co-founded Retraction Watch, which reports on scientific retractions, fraud and related issues. 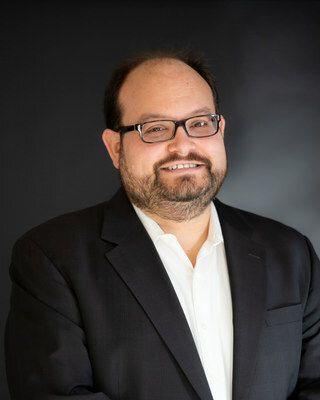 Dr. Oransky serves as President of the Association of Health Care Journalists and is a Distinguished Writer in Residence at New York University's Arthur L. Carter Journalism Institute. He earned his medical degree from New York University, completed his internship in psychiatry at Yale University, and earned a bachelor's degree from Harvard University. "I'm thrilled to be joining Medscape's world-class brand," said Dr. Oransky. "I have devoted my career to furthering the highest standards in health and science journalism, and I look forward to working with one of the best editorial teams in medical publishing to further our shared commitment." Both Medscape and Medscape Education are part of WebMD Health Corp., an Internet Brands company, and the leading provider of health information services, serving patients, physicians, health care professionals, employers, and health plans through public and private online portals, mobile platforms, and health-focused publications. The WebMD Health Network includes WebMD Health, Medscape, MedicineNet, eMedicineHealth, RxList, OnHealth, Medscape Education, and other owned WebMD sites. WebMD®, Medscape®, CME Circle®, Medpulse®, eMedicine®, MedicineNet®, theheart.org®, and RxList® are among the trademarks of WebMD Health Corp. or its subsidiaries.